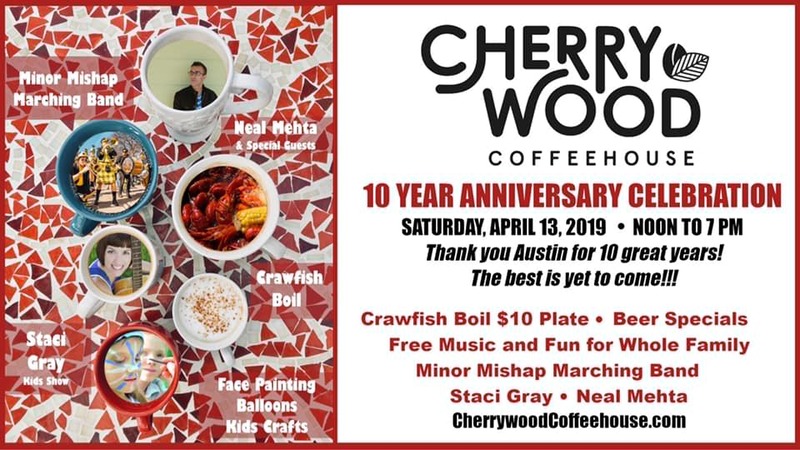 Cherrywood Coffeehouse celebrates its ten-year anniversary serving up good food, free music and community events. A full day of features a crawfish boil and family friendly music and activities. Minor Mishap Marching Band kicks off the party. There will be face painting and balloons. Ahnna Art will create live art by painting in front of an audience. Crafternoon Art Workshop will be on hand with a kids craft booth encouraging kids to put their creativity into action using recycled materials to create an art masterpiece. More information on the festival, the bands, and how you can participate can be found here. We’re celebrating the SXSW presentation of Becoming Leslie, a documentary featuring our own Leslie Cochran. Just a little stroll from the Alamo-Ritz after the screening. Thongs welcome. 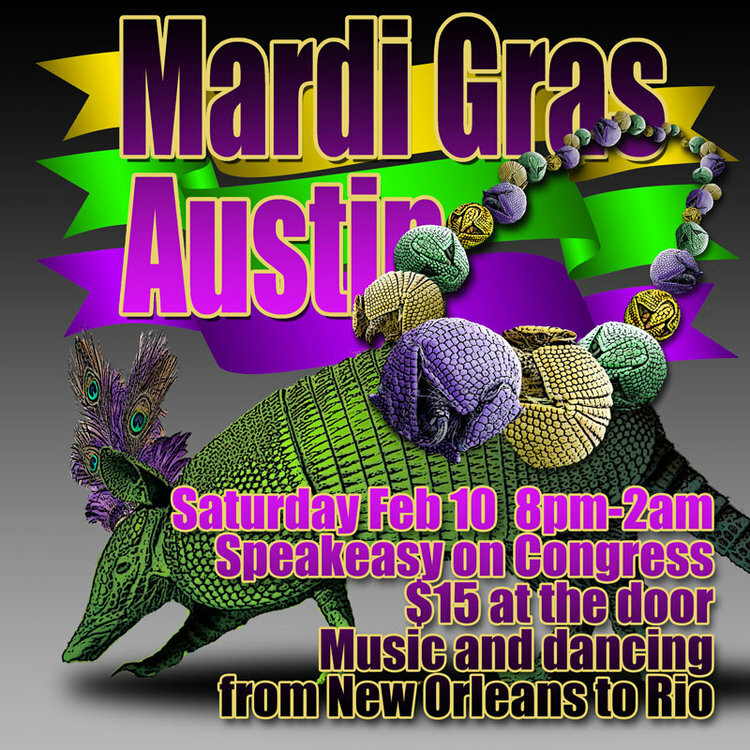 Kick off the evening with a Mardi Gras parade at 7:45pm and spend the rest of your evening on Speakeasy’s dance floors! Featuring El Thule, Austin Samba, Minor Mishap, Patois, Maracatu Austin, and Seu Jacinto. Hey Austin, have you ever been to one of Minor Mishap’s pedicab parades?! Well, this is your big chance with two marching bands in pedicabs. Parade starts at Hard Luck Lounge. After the parade we’ll have a big show with both bands for a mere $5 cover charge. 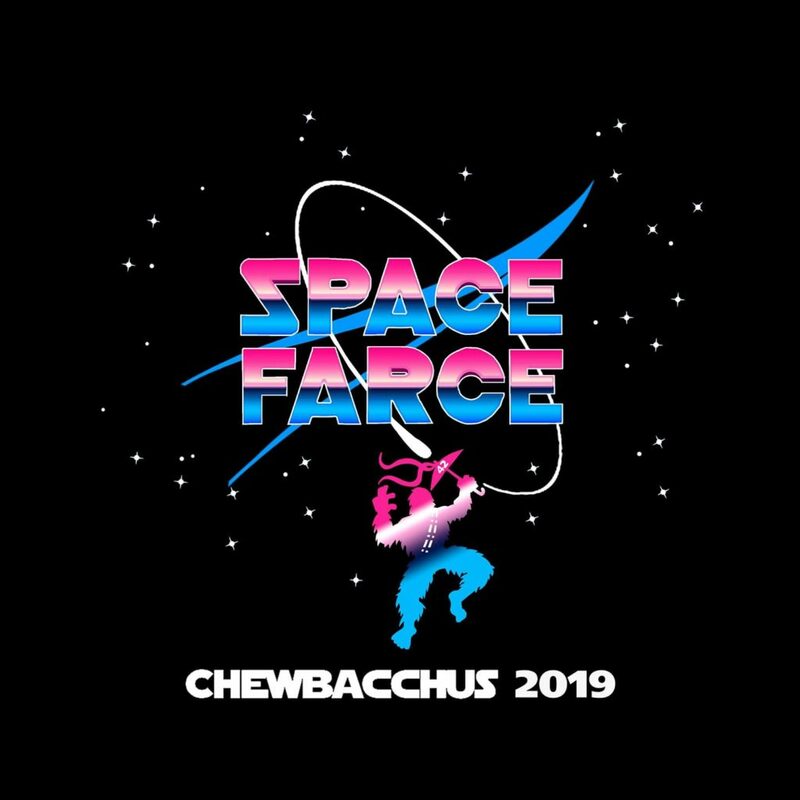 The Intergalactic Krewe of Chewbacchus returns for its ninth annual Mardi Gras parade on Saturday, February 9th, 2019! The vast Nerd Horde will once again take to the streets on it’s mission of “Saving the galaxy, one drunken nerd at a time” with the theme “Space Farce”. ALL HAIL THE SACRED DRUNKEN WOOKIEE!!! 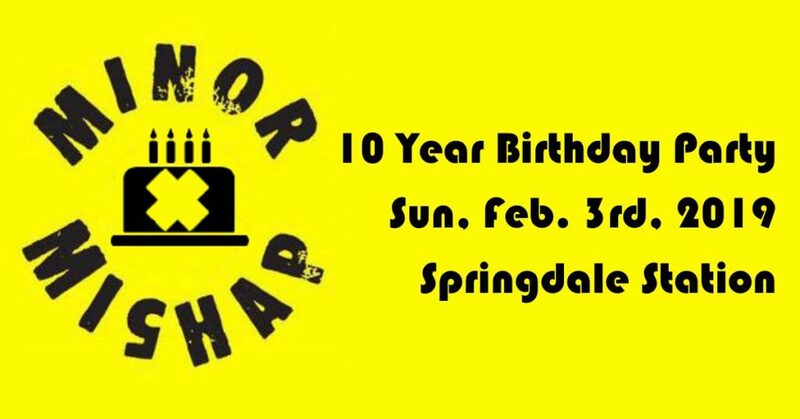 Tickets for Minor Mishap’s 10 Year Birthday Party & Fundraiser are on sale now here! Minor Mishap Marching Band is turning 10 years old this year! We are having a big ol’ birthday party for the band. We’re inviting everyone who has ever been in the band to join us for a huge reunion show, and folks are flying in from all over the country to participate. Open bar, small venue, giant band, food, who could ask for more? 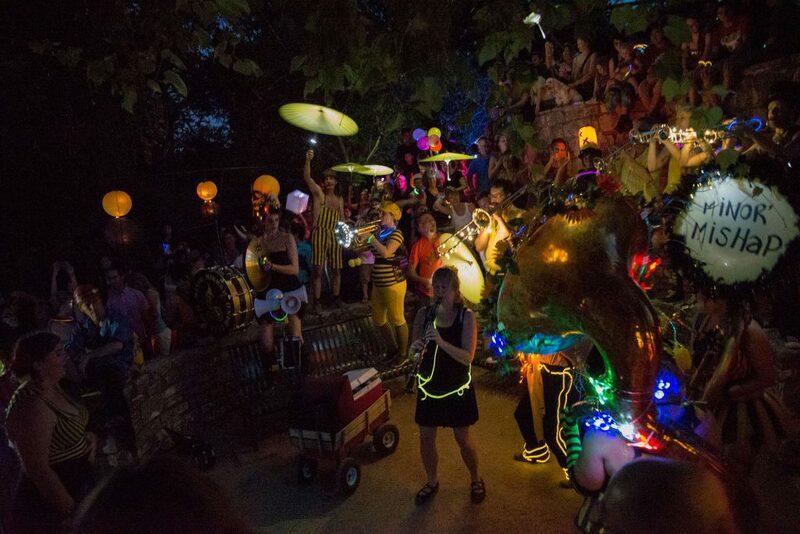 This party also serves as a fundraiser for our season of free, family-friendly shows in public places, including Winter Solstice Lantern Parade, Tour de Broccoli – a local farm tour, Sidewalk Parades in traditionally underserved neighborhoods, and more. Our party includes an open bar – many thanks to Tito’s Vodka for their support of our projects. We will also have beer and good non-alcoholic options. East Side King will be selling food from their food truck, too! Our annual fundraiser blowout at The North Door! Come out for fantastic music from some amazing local HONK! bands! We will also be conducting a silent auction to raise funds for our 9th HONK!TX, with items from local Austin vendors! Minor Mishap’s Winter Solstice Lantern Parade has become an annual celebration of light, community, music, creativity and booty shakin’. Each year, we gather together on the longest night of the year, with lanterns in hand. Together, we make a collective art-piece, a swirl of beauty: of all our lanterns together in one place, under the night sky. 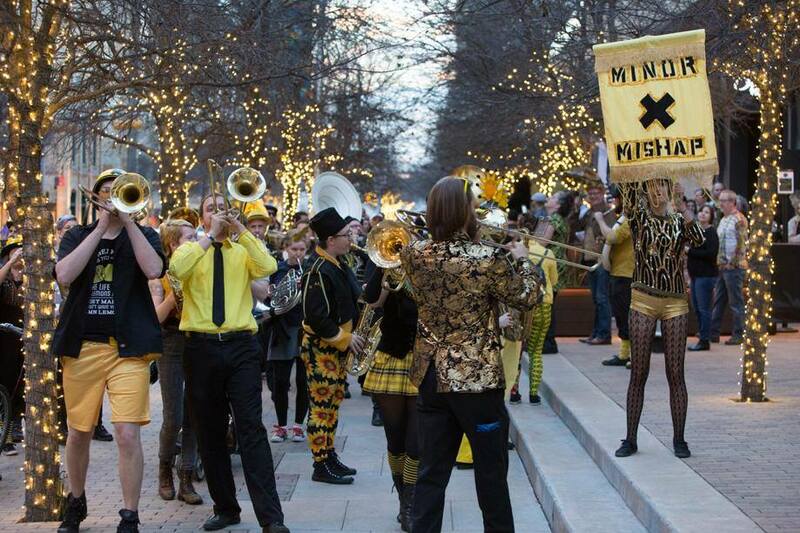 Minor Mishap Marching Band – a 25-piece brass band – will provide the soundtrack. Minor Mishap’s Winter Solstice Lantern Parade is FREE! but we do require your RSVP by following this link, please (we all know an rsvp on FB doesn’t count :)). Please make flameless lanterns! The beauty and magic of this event is in all of us contributing our own piece of beauty and light to the whole – hundreds of lanterns coming together under the night sky is truly a beautiful sight! It’s easy to make a beautiful light-diffuser out of paper or fabric or a jar or by poking holes in a can…and attach it to a flashlight. Some lantern ideas can be found here and here. LEAVE NO TRACE! Of course we want to leave the park clean and beautiful! Please be sure to bring your beautiful lanterns home with you and don’t leave any garbage in the park. Therefore – we can’t put any lanterns in the water or release any in the air! Please keep your lantern with you. ADA ACCESSIBILITY AND ROUTE: The route is short and all on the path around the lake – making it accessible for anyone with mobility impairments. We very much want you to participate! TIME: We will do our best to start on time – we know the kiddos are not always patient. We gather at 5:30. Music and parade start at 6:00. PARKING There are 3 parking garages near the park. 1830 Simond Ave. Parking is the closest garage. There is also street parking. GATHERING SPOT: We will gather at Lake Nessie – the mosaic Loch Ness Monster near the Thinkery https://goo.gl/maps/yn36RXqQAFq. 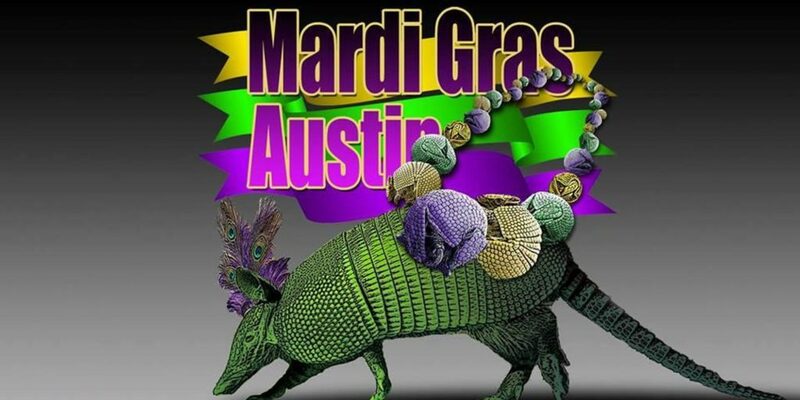 This project is supported in part by the Cultural Arts Division of the City of Austin Economic Development Department, and by the generous involvement of our Krewe de Mishappiness members. You can learn about (and join) the Krewe de Mishappiness at the link above or click here. Minor Mishap would like to extend a special thank you to Mueller Community Association for allowing us to use their gorgeous park, to create community and art! 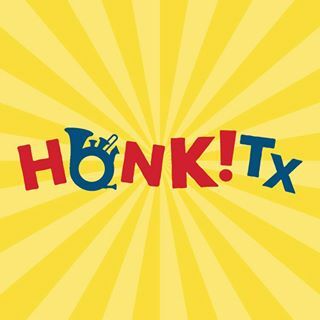 Help support HONK!TX Festival 2019 by joining us for a fundraiser show with some of the tremendous local HONK! 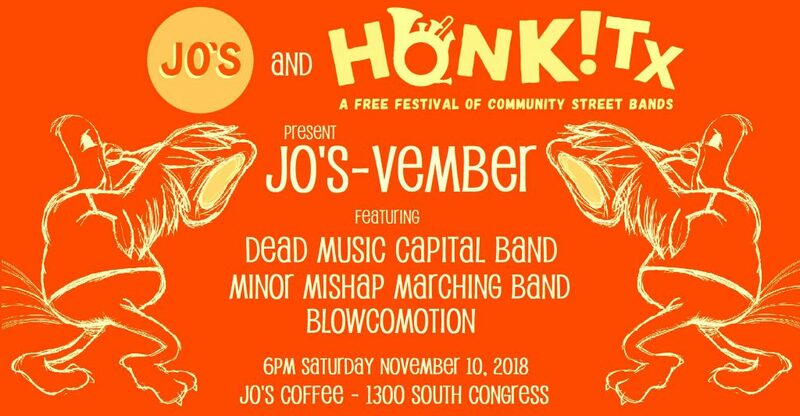 bands, including Minor Mishap, Dead Music Capital Band, and Blowcomotion! We will be accepting donations, signing up volunteers, and will have HONK!TX merchandise available. So come out, enjoy an evening on South Congress, and support your local community music festival! The ninth annual BBQ fest runs all weekend and gathers BBQ masters from all across the great state of Texas. We’ll be serenading folks outside as they enter the festival venue. Celebrate the first birthday of our new library. There will be cake! Yes, cake! Also lots of other activities. Party until 6 pm. 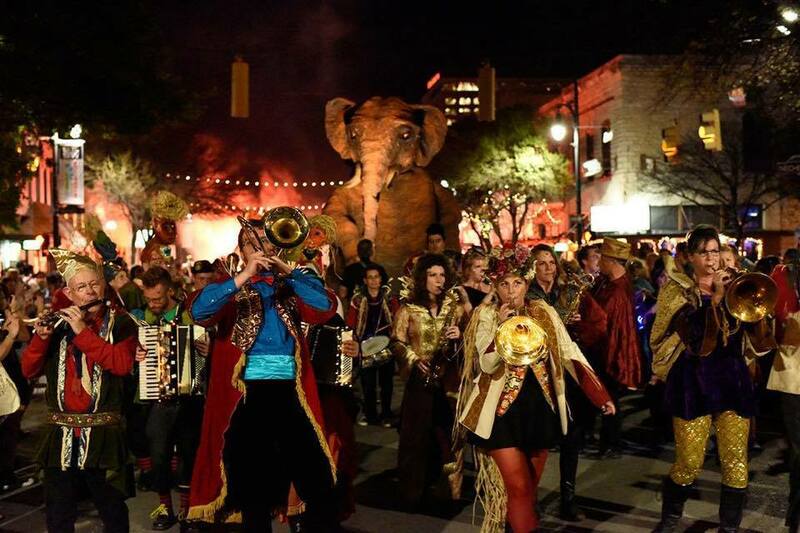 This Dia de los Muertos festival is the largest and longest running in Austin. Come out for the parade and reminisce about those gone before. Visit the Education Pavilion for hands-on art activites and artist demos. Sample the traditional foods, check out the low-rider exhibition, and enjoy live music throughout the day. 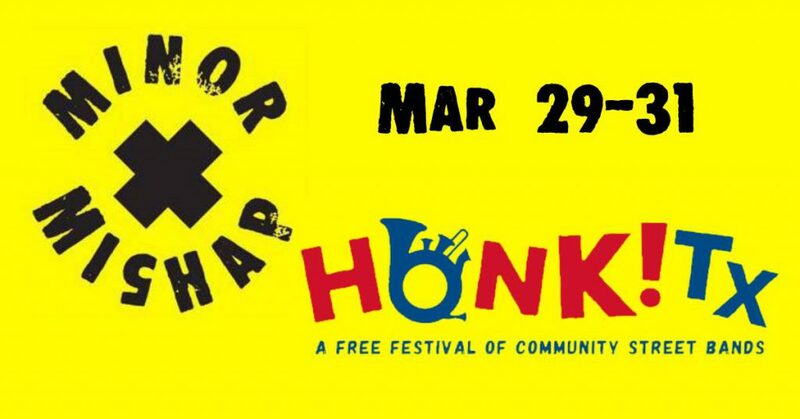 The greatest music festival in the world, Somerville’s own HONK!, is here once more. Join us for the officially unofficial pre-party featuring some long time favorites of the HONK! street band scene, and some very special guests – Unidos do Swing, all the way from Sao Paulo, Brazil! We will be playing outside in Union Square in front of Brass Union. 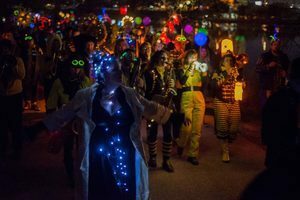 The festival kicks off its 12th year with a Lantern Parade on Friday, a giant music and dance party on Saturday, and, on Sunday, a spectacular parade along Massachusetts Avenue from Davis Square to Harvard Square. There will be bands playing in the nooks and crannies around Davis Square all weekend and around Harvard Square on Sunday. Scroll down for details and schedules. More information about HONK! can be found here. Full Saturday schedule and maps here. Full Sunday schedule and locations can be found here. Friends of Deep Eddy Pool and Love Austin Pools are throwing a pool party and you’re invited! We will be celebrating Austin’s unique pools and the hard work of many volunteers and staff to keep them open. There will be special guest speakers, music by us and the Reveleros, and snacks from Jim-Jim’s. On the hour, aquatic performances include a choreographed City of Austin lifeguard demo (2pm), the North Austin River Maids (3pm), and water polo (4pm). It will be all kinds of aquatic fun, so bring your swimsuit and jump in the water. $3.00 admission. Austin PRIDE Parade 2018 is free and kicks of at the Texas State Capitol building, marches down Congress Avenue and turning right on 4th Street through the Warehouse District. The route includes 2 MC stages: The Paramount on Congress Ave., the intersection of Congress and 4th, and the Rooftop at Rain! It’s all part of PRIDE Week 2018. Get your colors on an join us! 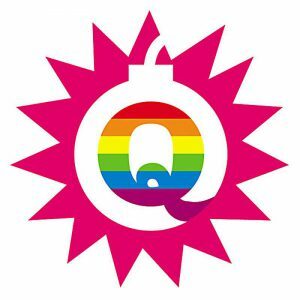 More PRIDE Week Information Here. Have you ever seen a Decamaran filled with a raucous brass band? Now is your chance. 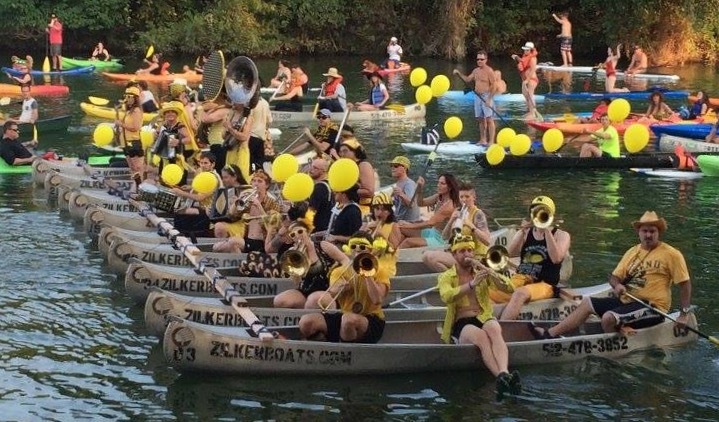 Come listen to Minor Mishap Marching Band as we serenade Barton Creek and the Colorado River. You can watch from shore at Lou Neff Point or you can grab a kayak or canoe and join us on the water. Come play hide and seek with Minor Mishap Marching Band as we do a special children’s performance at Thinkery! In addition to brass band hide and seek and the usual musical hijinks of Minor Mishap Marching Band, there will be participatory micro-workshops where musicians will tell the kiddos what the instrument is that they are playing, demonstrate what it sounds like, and where the kiddos can play along on percussion. We’ll be playing pieces from our brand new Brass Disko – a show of new music by local composer Datri Bean! Admission to this event is included with admission to Thinkery. This event is open to all! Find out more about The Thinkery Here. This is part of a new collaborative experiment with some of your favorite street bands, including members from: Minor Mishap Marching Band, Maracatu, and *NEW* Blowcomotion. Blowcomotion is a workshop + band + social group. Dazzled by all the amazing brass and beats but think you’ll forever be a bystander? NO WAY! 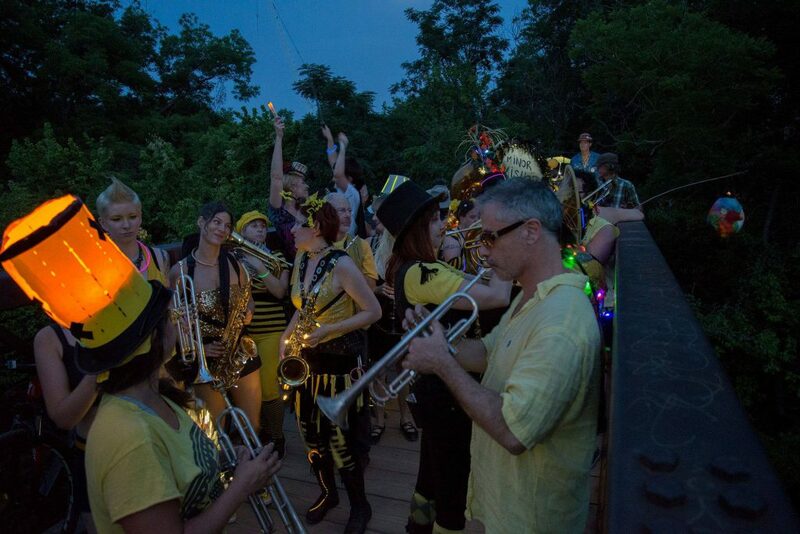 Blowcomotion seeks to include adult learners of various levels to jam and explore music in the Austin street band community. Check out the Blowcomotion Facebook page Here. This Project is supported in part by the Cultural Arts Division of the City of Austin Economic Development Department (and by Krewe de Mishappiness members)! The tenth anniversary of Roots and Rhythms brings you a free, kid-friendly interactive celebration. 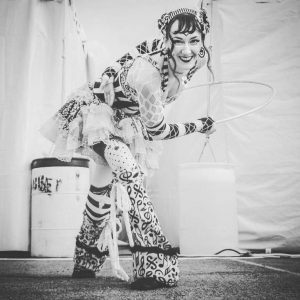 Dancing, music, stilt walkers, Austin Bike Zoo, make-your-own butterfly masks, who could ask for more? To learn more, watch the video by clicking Here. 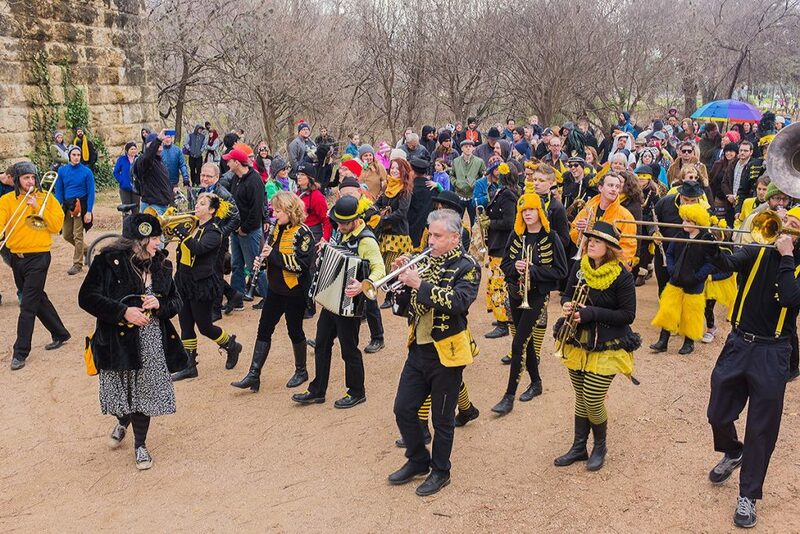 A free festival of community street bands emblazons Austin with joyful music in public places. Friday evening we enliven Mueller Lake Park with 5 stages and an all-band preview. Saturday we return to Adams-Hemphill Park and Sunday we play in Pan Am Park. All Free! All Kid Friendly! The Domain NORTHSIDE presents a weeklong celebration of spring with sunset concerts and other events. It’s spring, weather’s nice, and we’re getting over our SXSW hangovers. Good time for a block party, yeah? Join us this Saturday in the MLK neighborhood for music and a stroll. We’ll start on Greenwood Avenue and end up a few blocks south, stopping along the way to play music, knosh, and hang out. BYOB (no glass, please). Bring some food or snacks to share and your glorious happy selves. Mardi Gras parade at 7:45pm. 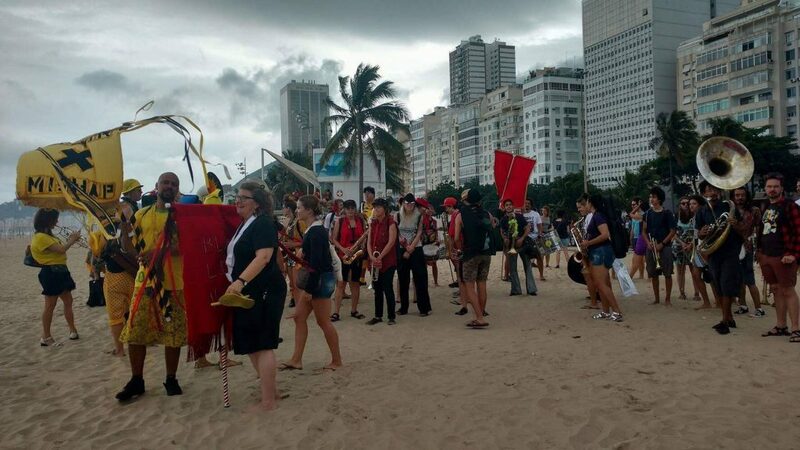 In addition to Minor Mishap, bands include Superfonicos, Austin Sanba, Seu Jacinto, Flyjack, Big Wys Brass Band, and Maracatu. Come one, come all to the North Door on Saturday, January 20, for a night full of joyous brass bands! 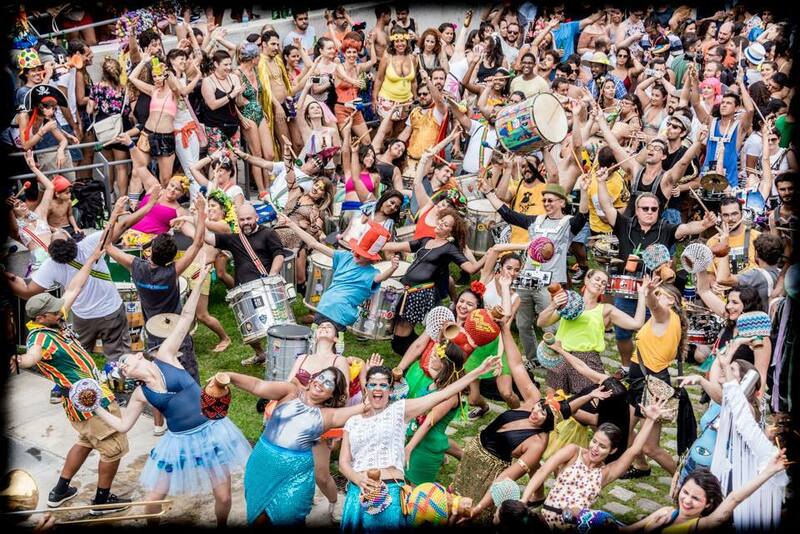 It is time once more to get out your colorful tutus, bright wigs, and many-colored robes – we are celebrating the multi-colored kaleidoscope of Austin’s HONK! community bands. All ages welcome until 11 pm. Suggested donation of $10 at the door, cash or credit. Let’s start the New Year out right! Join us in the great outdoors, to wander around in the sun and cold weather, playing music, dancing, and starting new adventures in a joyful way! Free. All are welcome. We will start playing at Doug Sahm Hill around 2, and have a short parade from there. Minor Mishap Marching Band’s Winter Solstice Parade is coming! Gather at 5:30 at Lemon Lounge; we roll at 6:00pm! Bring lanterns! YOU and your creativity are what make this parade beautiful. Bring the kiddos, bring the grandparents! We ask that all lanterns please be flame-free – in other words, use an LED flashlight to light your lantern, please. We also must strictly stick to the sidewalks and obey pedestrian traffic laws. Parade pace will be slow. We can’t wait to celebrate with you! Opening Ceremony benefitting the Trail of Lights Foundation and H-E-B’s Read 3 program. 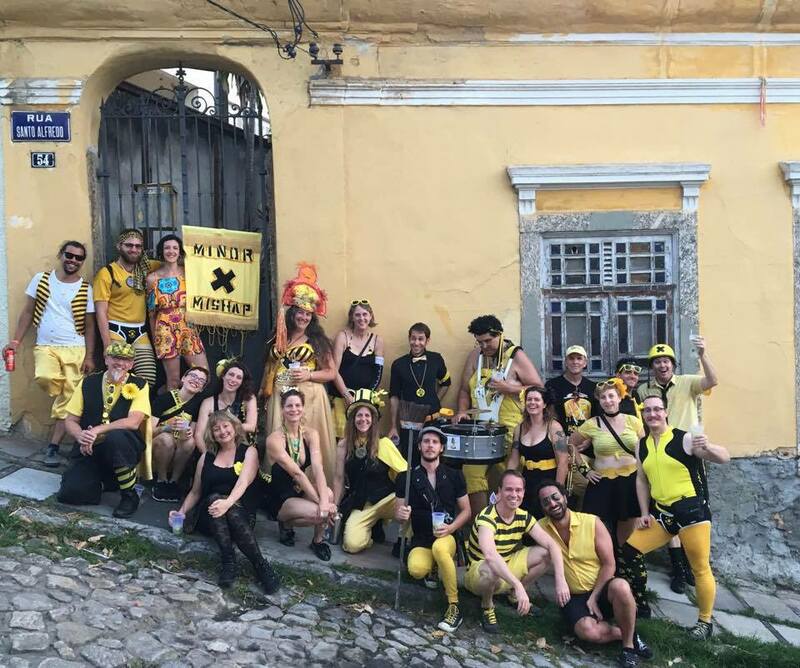 We are gearing up to return to HONK Rio – ’twas one of the most amazing experiences ever, and we’re heading back for more! So excited! Austin honors 2017 inductees and Minor Mishap Marching Band will entertain VIPs before the show and lead you back from intermission in a joyful, raucous parade in the aisles. You don’t want to miss the star-studded Hall of Fame show or Minor Mishap antics. 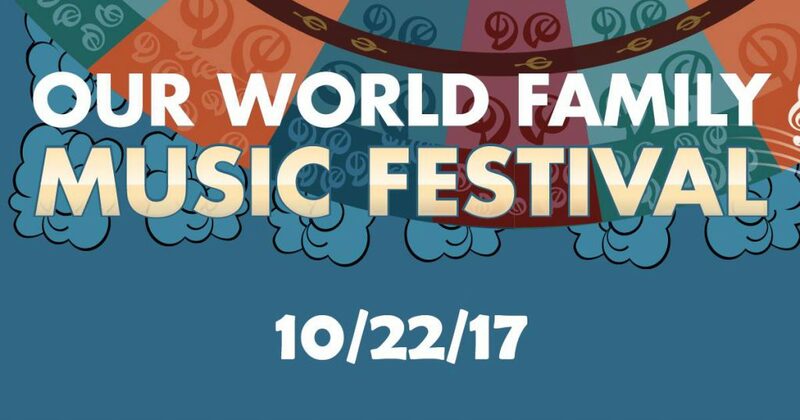 Join us for a free festival featuring live world music and dance performances, hosted by the Museums and Cultural Programs Division of the Austin Parks and Recreation Department. 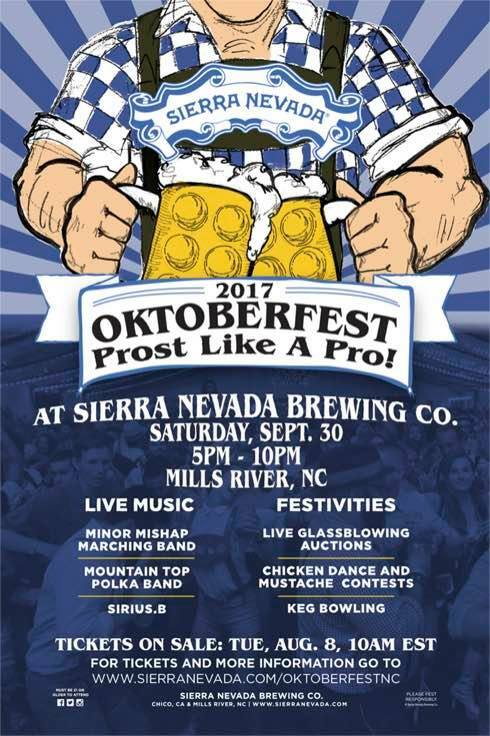 We are super excited to raise a stein with our lederhosen-clad and dirndl-sporting friends in North Carolina! A stacked party lineup comes together to raise money for Hurricane Harvey relief. Come dance, party & drink while helping your fellow Texans. All proceeds go to Greater Houston Community Foundation‘s Hurricane Relief Fund, which was established by Houston Mayor Silvester Turner & Emancipet Greater Austin. We’ve decided to spread the brass-band cheer, and invite the whole darn city to a workshop and mini-parade. This is open to everyone! If you are a musician, please bring your instrument. If you sing, please add your voice – some of the very best street music traditions make ample use of singing, which let’s everyone participate! If you would rather watch, you are welcome to come watch, dance, and enjoy. We are unofficially starting with a pool party, ending with a pot-luck pie social, (because, let’s be honest, everything is better with swimming and pie). Meet at Martin Pool at 7 pm if you want to swim. 9:00-9:30 Mini-Parade in the park, to practice what we’ve learned! 9:30 – 10:00 unofficially eating pie at a pot-luck pie social! Bring a pie, share it with your community, meet new people, chat with other musicians, enjoy pie! This event is free, and all ages are welcome. We will be teaching songs by ear and by showing them on our instruments. It is not necessary to be able to read music to participate in this workshop. No sheet music is involved! The music will be simple and easy to follow. If you want to participate in the pie-social afterwards, simply bring a pie and start socializing. This project is supported in part by the Cultural Arts Division of the City of Austin Economic Development Department. (Thanks, City of Austin, for making this show possible)! 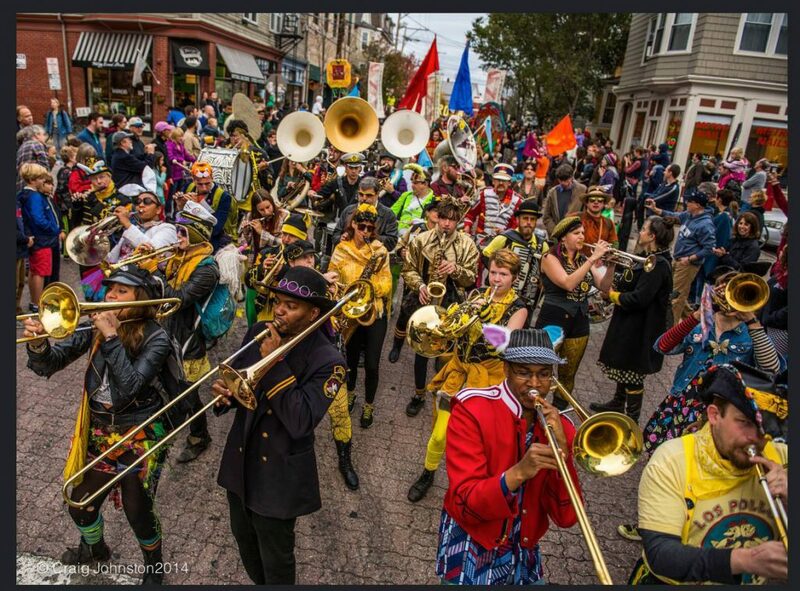 This project is also supported in part by the Krewe de Mishappiness, an amazing group of Minor Mishap fans who have come together to support Minor Mishap’s endeavors to re-energize public spaces and build community connections through fun, free, brassy performances. (Thanks, Krewe de Mishappiness)! Learn more about the Krewe de Mishappiness, and join here. Ssssh – Super Secret Sierra Nevada Flash Mob Friday Night! 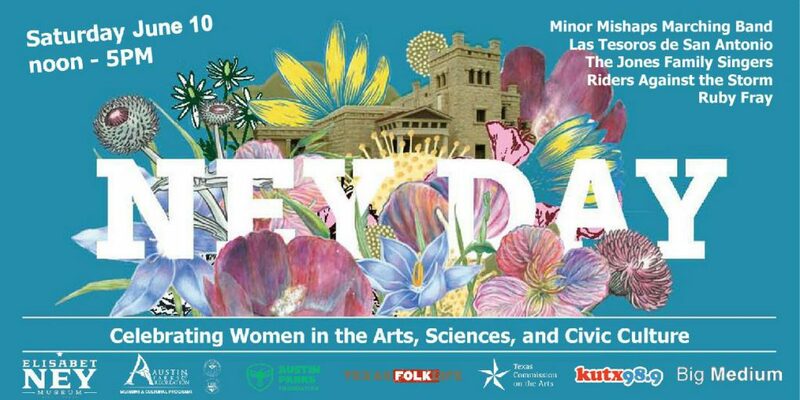 Plan to join us on June 10 to celebrate Elisabet Ney and her inspirational legacy with us! Yay for Local Farmers! Grab Your Bike and Join Us. 1:00 pm – 1:30 Farmer’s Market at Plaza Saltillo Station 5th and Comal St.
2:00 pm – 2:25 Austin Food Forest 35 Waller St.
We love our local farmers and wanted to have a show that highlights the amazing abundance of local produce grown right here in East Austin. Tour de Broccoli is a series of short pop up shows by the Minor Mishap Marching Band, at farms, farmers markets, and Austin’s Food Forest. Minor Mishap will be enjoying the fresh air, and biking from location to location. You are welcome to bike the route along with us, if you like. If you prefer, you can meet us at any of the pop up locations along the route. We are saving the best for last – the Food Forest is a project of sustainably planted food that is absolutely free and available for the taking. We support our local farms, and the food forest, and recognize the importance of locally grown food in making a strong, sustainable, healthy community. Please join us for this afternoon adventure! This show is free, and all are welcome. All ages are encouraged to attend. The pop-up shows are all in public, ADA accessible spaces. We are arranging a few pedicabs for folks who might need them. 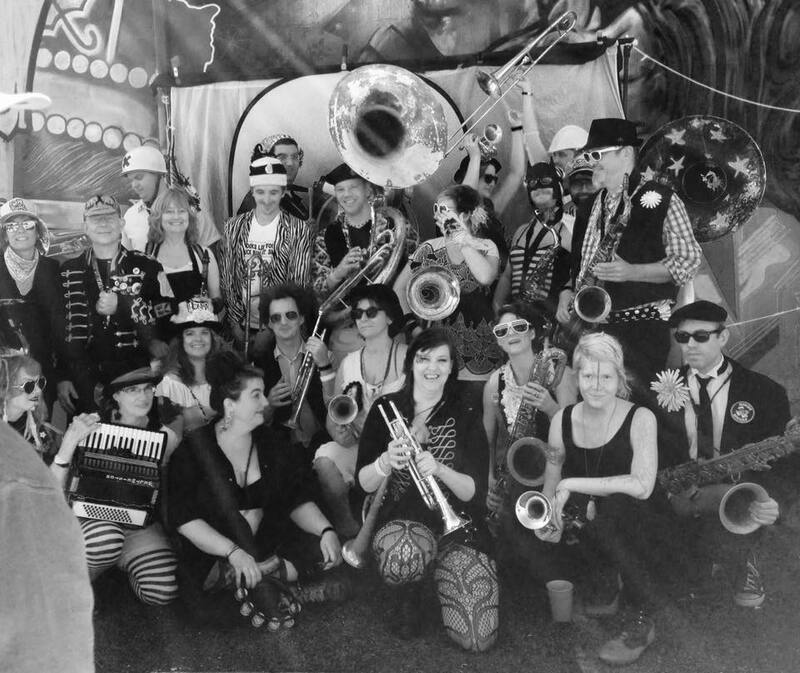 This project is also supported in part by the Krewe de Mishappiness, an amazing group of Minor Mishap fans who have come together to support Minor Mishap’s endeavors to re-energize public spaces and build community connections through fun, free, brassy performances. Calling the dancing people of Austin, Texas! 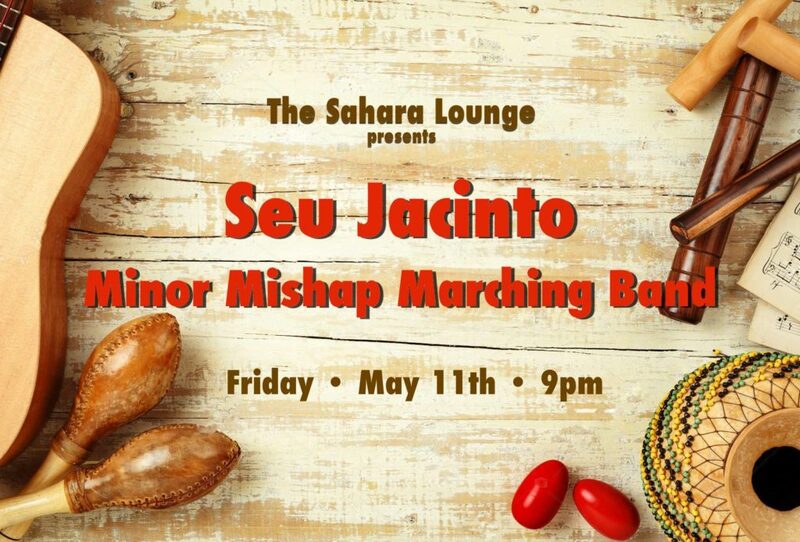 May brings the very special Minor Mishap Marching Band to join Seu Jacinto for an amazing night!! The spirit will be elevated. Save the date – come indulge and share your energy in this night of dancing, friends, and good funky ATX vibes. A marching celebration of Solidarity. 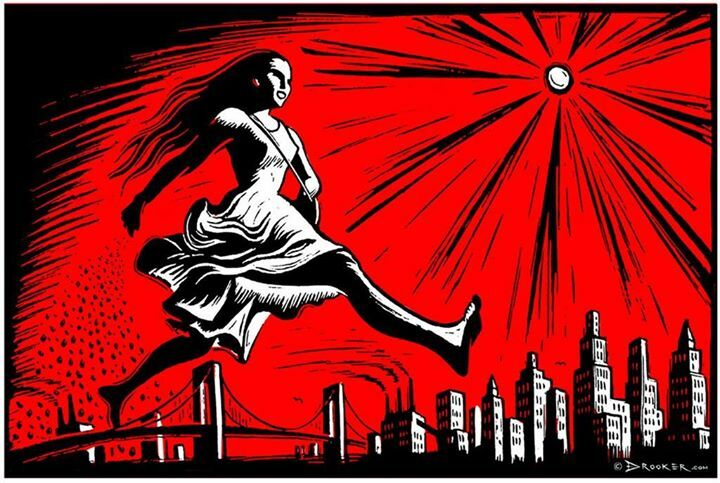 March with us on the 29th of April, with the Minor Mishap Marching band and speakers from the Workers’ Defense Project and Grassroots Leadership. 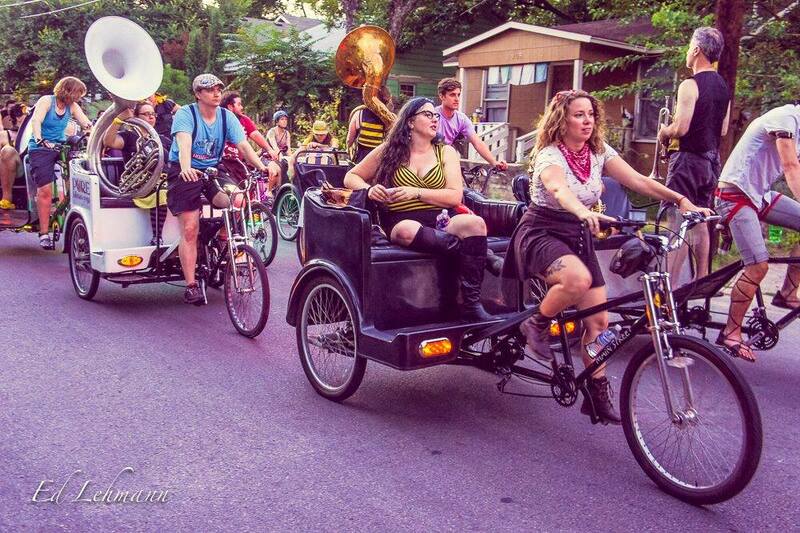 Join us for a HONK!TX after party with Honking-special guests! For more information and schedule click HERE. culture and history to the Rio Grande Valley. Join us for some true South Texas fun! Line-up: Browncoat Brass, Minor Mishap Marching Band, Lovebomb Go-Go, Detroit Party Marching Band, Chaotic Noise Marching Corps. Minor Mishap and our HONK!TX friends will be kicking off Mardi Gras season with a parade through the 2nd Street District. We’ll take you through the streets and back to the Moody Theater for the funky Meters show (with Flow Tribe and 7 Come 11). Get your New Orleans on and join us! More details to come. HONK!TX 2017 is just around the corner! 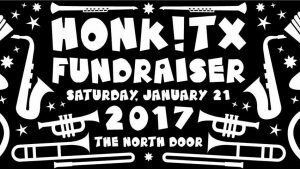 Join us for HONK!TX’s Brass Blowout FUNraiser! Suggested donation of $10 at the door, cash or credit. 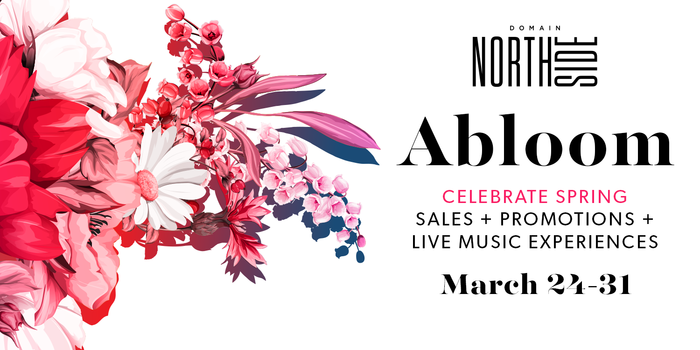 Bid on aaaamazing silent auction items from local businesses, makers, and musicians throughout the night! The show will include unique archival films provided by the Texas Archive of the Moving Image playing as a backdrop to the bands’ perfomances. All ages until 11pm; 18+ after 11pm! ***South Austin*** New Year’s Eve Party, with tons of craft beer and brassy-ness? Sounds dreamy! Join Minor Mishap Marching Band and Saint Elmo Brewing Company for New Year’s Eve! $10 advance, $15 day of show. Minor Mishap Marching Band’s Winter Solstice Lantern Parade! Please join us for a celebration of light, music, and community on the longest night of the year! Let’s gather together out in nature, under the dark sky to celebrate music and community and being alive. Won’t that be beautiful? And the beauty of this event depends on YOU! Make lanterns! It’s easy and fun! Let’s all make lanterns (please flashlight and flameless lanterns, OK?). Need some ideas and instructions for making a lantern? Click Here. Minor Mishap Marching Band will play music from 6-7pm. The “parade” route is extremely short to make it easy for people of all ages to attend. This is a free, family-friendly event. All are welcome. Minor Mishap would like to extend a special thank you to Seaholm Power Plant for donating the use of their gorgeous space in support of community and art! This benefit is designed to raise money to pay for the cost of installing a 100 percent sustainable off-grid solar system for an orphanage in Haiti that does not have electricity. Haiti has the world’s largest population living in energy poverty, with over 7 million people without access to electricity. 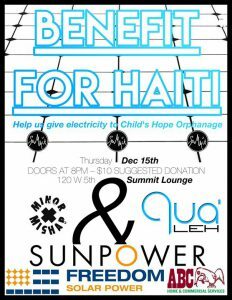 The solar project in Haiti will begin in January, and your support is greatly appreciated! Time to seal the deal on 2016 and let our freak flags fly free! Come enjoy a fantastic night of music and friends at the magical Sahara Lounge! 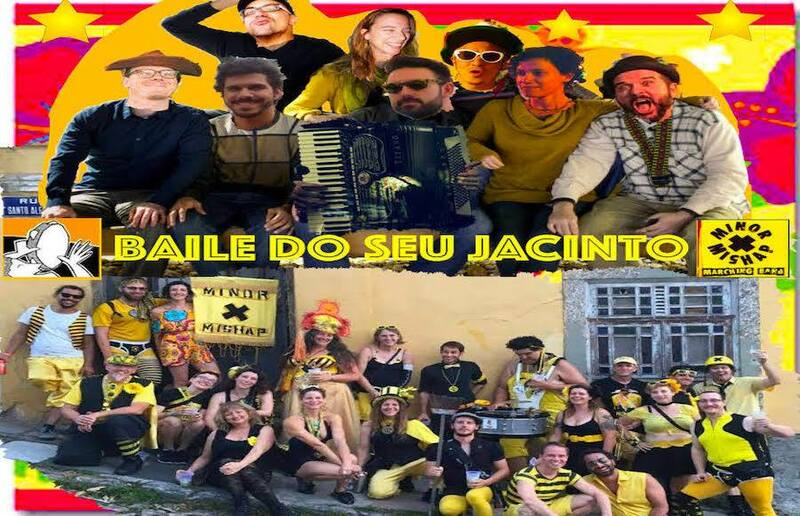 Seu Jacinto will be celebrating a decade of bringing Forró music to Austin Texas. We will play your favorite forrós,baiãos,xotes, and cocos to get your bodies and spirits warmed up. Minor Mishap Marching Band!!!!!! !BOOTY SHAKIN’ BRASS BAND – a 25 piece renegade circus brass band. We are an absurd expression of boisterous pandemonium– Bourbon street meets Budapest. Come get in your mood in the real good zone and let’s shine! Come hear the music, see the art, and support Wimberley Crisis Breadbasket food bank. Minor Mishap’s Carnival de Halloween Ball! 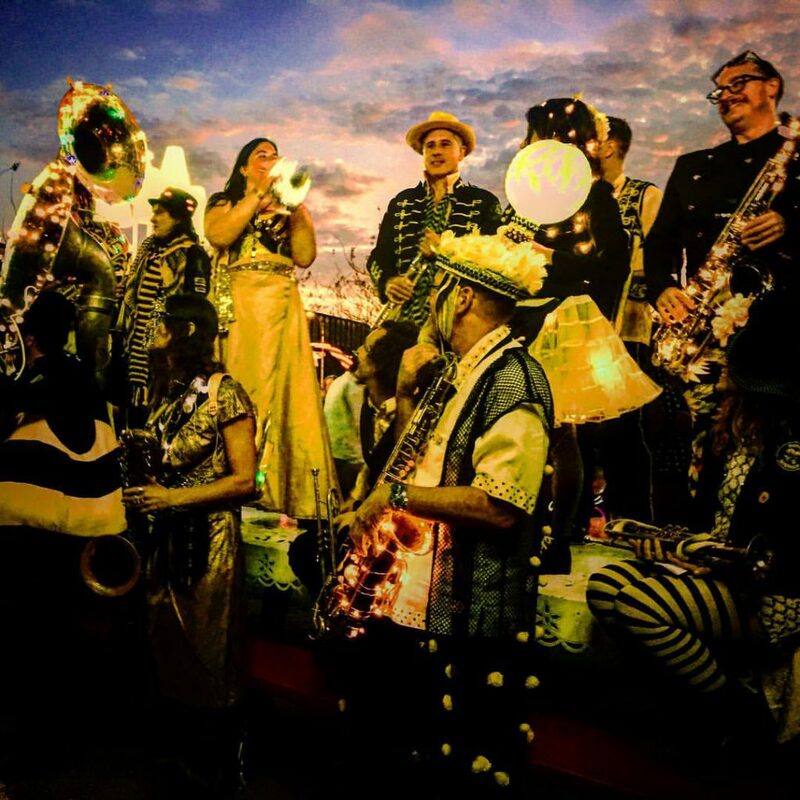 Minor Mishap’s Carnival de Halloween Ball will be a magnificent costume ball of cacophonous brass, tomfoolery, and splendid frivolity. It’s also the inaugural Ball of our new Krewe de Mishappiness! 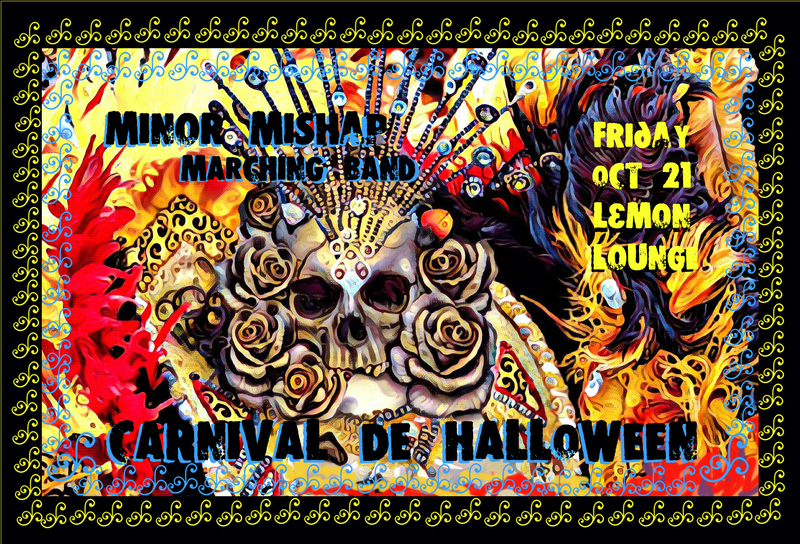 Carnival de Halloween Ball is a party to send us off to Honk Rio in Brazil! Help us make it all the way to RIO!! Dress fabulously, foolishly, frighteningly, flirtatiously, and frivolously. It’s never too early to start planning a fabulous costume – Carnival, Halloween…it’s the best of both worlds. We hope you can be there!